The Czech Republic’s premier luxury goods magazine featured the Vojtech Blau tapestry collection in its autumn issue. Simona Sustkova’s article examines the interplay of antique and modern designs within the collection and highlights 16th century French and Dutch tapestries, as well as 20th century works by Sonia Deluanay and Alexander Calder. 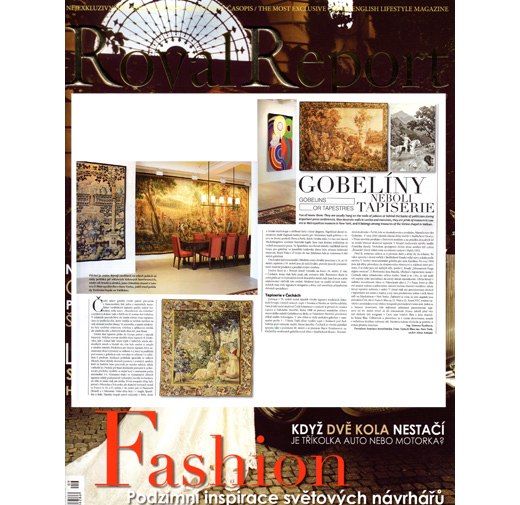 For more information, please visit www.royalreport.cz.